Creating The Perfect Wedding DJ Playlist Can Be Tricky – But It Doesn’t Have To Be! 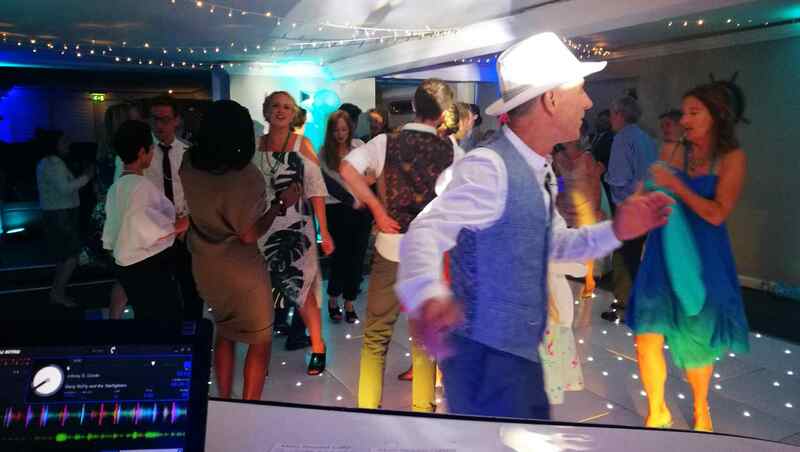 In this blog post we share what we’ve learned over 15 years of providing wedding djs & mobile discos in Dorset, Hampshire & Wiltshire, and show you exactly how to create a wedding DJ playlist that you and your guests will love, and that will keep you dancing all night long! Your Wedding Is Unique…And So Is Your Taste In Music. Any good DJ will tell you that your personalised playlist is the key to creating an awesome party. With over experience of over 1000 weddings we know what music really works and what will please a mixed crowd. BUT no two people’s music preferences are the same and one bride’s perfect playlist will be another’s worst nightmare! That’s why your personalised wedding DJ playlist really matters. Most of the couples we work with tell us that creating their wedding DJ playlist was harder than they thought it would be and that they are very glad we helped them along the way. You see, it’s not just as simple as writing down some songs that you like on a list. Nope. It needs a little more thought than that. You need to ask yourself; Are those songs good for dancing to or do you just like to listen to them? Have you chosen anything for the older generation, or is your playlist only suited to the younger crowd? Have you chosen songs that your friends will like too -or are you happy to spend the night on the dance floor all alone? A great wedding DJ will walk you through creating your personalised playlist. They’ll talk you through everything you need to think about when making your list, they’ll provide you with an online playlist creator where you can search their track library and view previous playlist samples, and they’ll offer a skype call or meeting after you’ve sent the list, to help you refine it and advise you on anything you may need to add or reconsider. 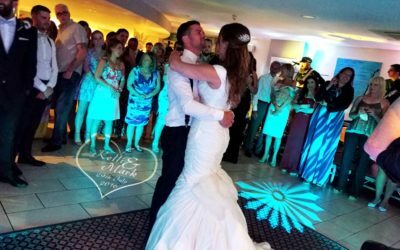 By combining your preferences with an excellent wedding DJ’s experience, you’ll be able to create the perfect wedding dj playlist that creates a party your guests will talk about for years to come. Your personalised playlist is here for you to tell us what you, the bride and groom, like and want to be played at your wedding. Your guests will get the opportunity to fill in their requests on the night but this playlist is for you. This means it needs to be filled in by you, the happy couple, not a friend or family member. Your friend may have great music knowledge but they won’t be able to tell us what YOU personally like and that’s what we need to know right now. You need time to think about the music you want playing at your wedding and you don’t want to feel pressured or rushed. 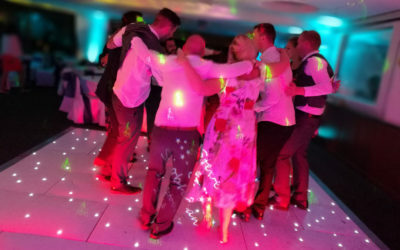 The last few weeks can get a little hectic so ideally start working on your wedding dj playlist about 6 weeks before the big day, with a view to completing it at least 3 weeks before your wedding. One of the major mistakes some people make is putting songs that they love on the playlist, without thinking about whether they are good to dance to. Sure, you might LOVE singing along to Adele in the car but would it really make you get up and have a boogie on the dance floor? Try to list at least 10 tracks that the older generations will like – Think along the lines of popular songs from the 60s, 70s, 80s. You might not love those tracks, but you will love seeing your nearest and dearest on the dance floor with you at some point through the night. 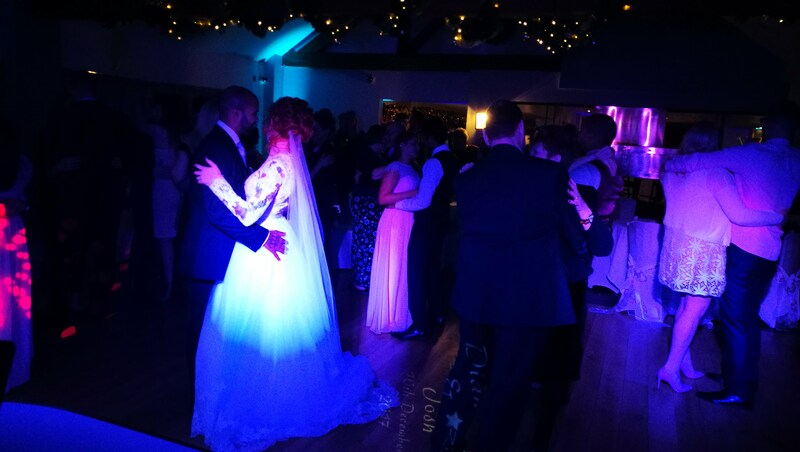 A great DJ will advise you on how many tracks they’d like you to list for each genre – Usually some for the bride, some for the groom, some for the oldies and some for the guests. It may feel like the more requests you give the better – But actually this isn’t the case. If you send in too many track requests it can be hard for your DJ to tell what it is that you really like. Your taste will become too diluted and they’ll end up having to wing it on the night – Not ideal. 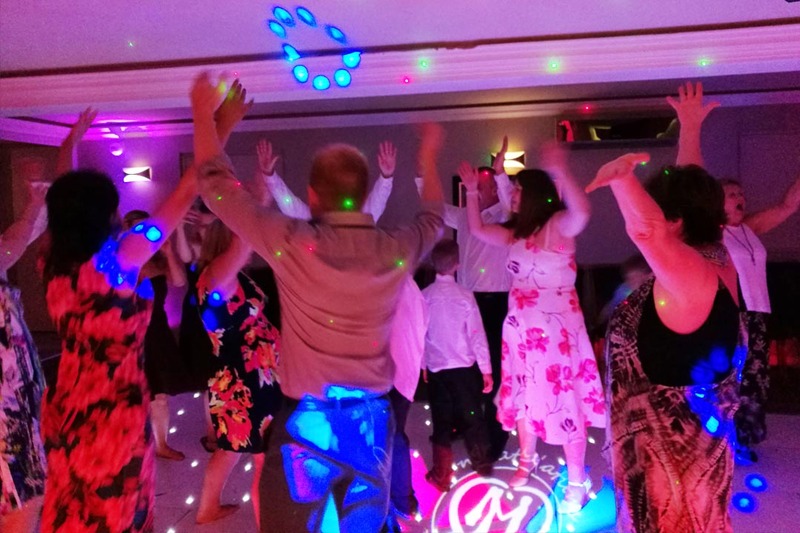 An average wedding disco is approx 4-5 hours, so somewhere between 30-60 tracks is ideal to give your DJ an idea of what you love, whilst still leaving him space to use his experience to make your night awesome. Don’t assume that just because it’s on your list it will definitely get played. A great wedding DJ will mix your list in with what he knows works, what he can see people responding to on the night and what your guests are requesting. A REALLY great wedding DJ will also use his experience to avoid any tracks he knows to be ‘floor killers’. 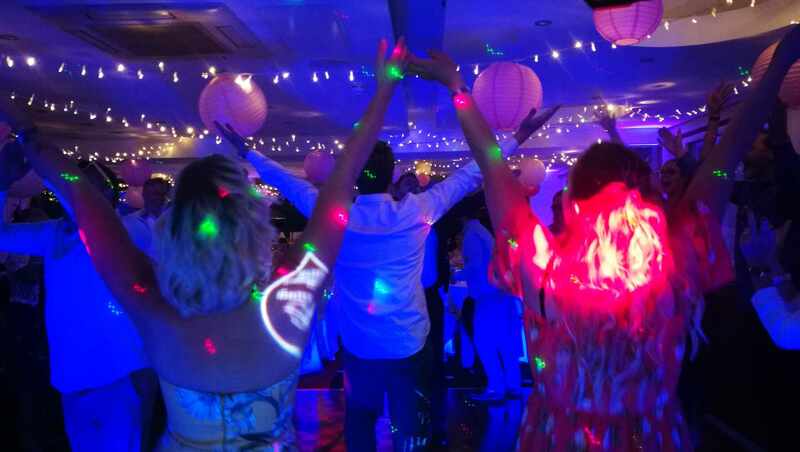 If there are any tracks that are special to you, be sure to highlight them to let your DJ know, so he can be certain to play them on the night, when you are available to enjoy them – Not when you are out of the room, propping up the bar or in the little ladies room! Be wary of a DJ who doesn’t help you with your playlist. 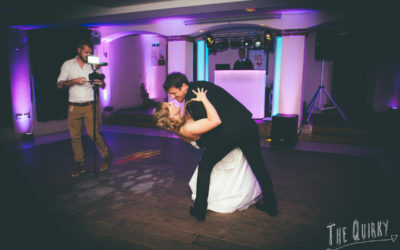 Here at Party Dexx we put a lot of time into helping you create your wedding dj playlist so that we can guarantee to play the music you love at your wedding. We guide you through the process every step of the way, providing examples, samples and advice. Once your playlist is complete we then have a skype call to discuss your music choices and make any final tweaks that may be necessary to ensure you get the music you love and an awesome party. No matter how good your playlist is, you need a great wedding DJ to pull it off. If you haven’t booked your wedding DJ yet I recommend you read our blog post “14 Questions To Ask Before You Book A Wedding DJ”. The last few tracks of the night should be an epic moment that you’ll remember for years to come. An experienced wedding DJ will announce the last track of the night a little before your disco finish time. Kind of like a false finish. This is to allow him time to play “just one more song” for your happy guests as an encore, whilst still keeping your venue happy and finishing within their license time. You can go slow and traditional to calm down the night or upbeat and rowdy to end the party on a high. It’s your choice. A great wedding dj will provide you with some suggestions of finale and encore songs. Choose these tracks carefully as they’re probably what your guests will remember! As well as your wedding dj playlist, you should be able provide your wedding dj with a “Do NOT playlist”. This is a list of songs you hate and really don’t want playing at your wedding. Only put songs on here if you really don’t want them to be played. If you have a mild dislike for ABBA but know Uncle Simon loves them then you need to decide whether you hate them so much he’ll have to do without, or if you’re happy to bop along for a track to keep him happy. Remember to put any songs that have negative connotations for you on here too – Eg songs that have been played at funerals or even at your first wedding. Here at Party Dexx we operate a traffic light system for our Do NOT Play lists. Green: I’d rather you didn’t play it but if you think it will work well then go ahead, I’m easy. Amber: I don’t like this song. Please only play it if my guests request it. Red: I hate this song and will cry if you play it at my wedding. So as you can see, there’s a little more to creating the perfect wedding dj playlist just than writing down a list of songs that you like. But I hope that with this guide it’ll be a little easier and you’ll be sure to create an awesome wedding dj playlist that gives you an epic party and a wedding that you’ll talk about for years to come! If you’re still looking for a wedding DJ we’d love to hear from you! 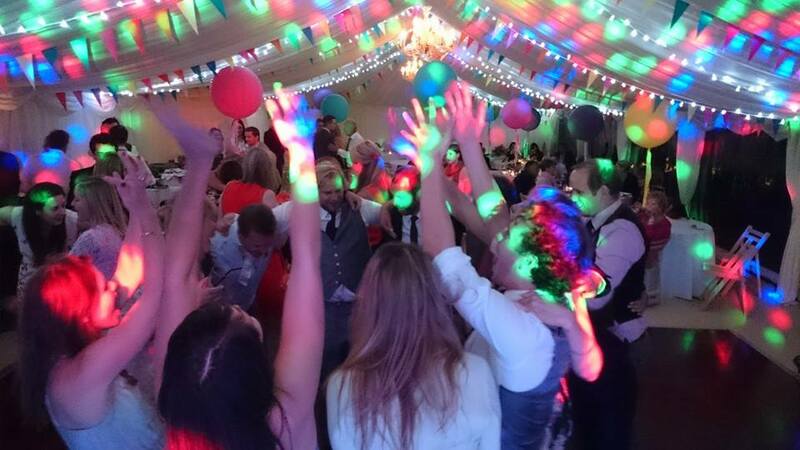 Party Dexx provide high quality, personalised wedding djs & discos in Dorset, Hampshire and Wiltshire. Just fill in the form below and we’ll get in touch to find out more about your wedding plans and give you a quote! Our DJs are pretty awesome so they do get booked up in advance! Click the button below to check if your date is available and get a quote now!